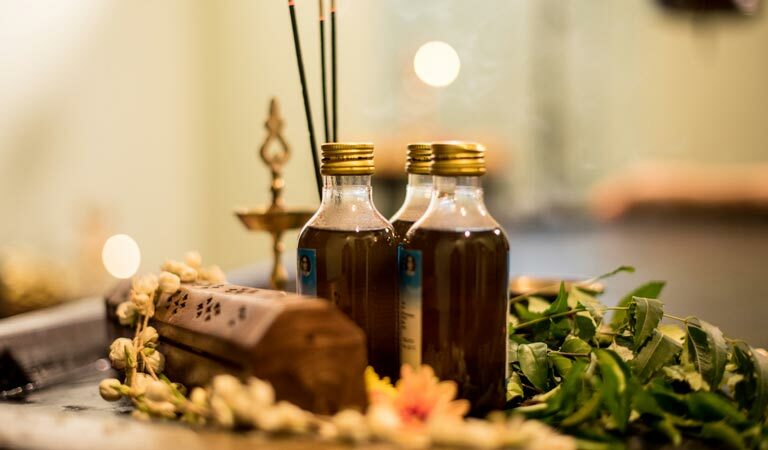 for treatments and practice of Ayurveda since year 2000.
treatment: pre-purification therapy and purification. The most common form of external oleation is Abhyangam. Generally, sesame oil is used as the base of all medicated oils. and flexibility to achieve inner peace.